The ink is dry on the deal, the celebratory corks have been popped and the sharp-suited lawyers have gone off to bank a small fortune. The projected negotiations to thrash out a deal to buy or merge with another company are finally over. Relief all around, smiley faces, back slapping; cigars; done and dusted! Although through-the-night negotiations on a diet of poor coffee and poorer cigarettes are not easy, integrating the two or more entities will be substantially harder and a potential minefield. Considerable time, effort and cash are expended in calculating the business case of M&A activity before completion of a deal. Elaborately crafted press releases tell the world about the benefits the new relationship will deliver. However, very few people involved up to this stage in the process will actually be accountable for future success or more likely, failure. Whether your M&A is a local, regional, national or global event here are 10 top tips to getting as close to the glossy press release promises as possible. Team. Appoint a team to lead the change and ensure there is a Change Manager in the team with deep and recent experience in the field. The overall project must be led by someone of suitable seniority in order to make an easily accessible two-way bridge between junior and senior groups. Don’t select the team members from one entity only! Objectives. Make your intentions and targets clear and get buy-in from all parties and particularly the acquired team. If you genuinely make everyone feel part of the process you will have greater success in implementing difficult decisions later on and for sure these will come! Assets. If offices and factories are involved and your intention is to centralise/ harmonise you need to approach this delicately. The “bought company” will always assume their workplace is most at risk so all evaluations have to be transparent and honest and impartial 3rd party expert help is advised. Culture. There will inevitably be differences in company culture but if both sides can accommodate modification towards a new halfway-house then that can be a win-win but it is extremely difficult to achieve. If culture is forced on one group or another then you are likely to fail. Rumour Control. Have you ever heard a good news rumour about someone? Most rumours are negative or critical or someone or something and they will plague M&A integrations. If you get your communication policy in order and people feel free to raise concerns then damaging coffee machine whispering can be nipped in the bud. Communicate, communicate, oh and communicate. M&A integration worries people and worried people are not as efficient and diligent as they should. Invest in a website and/or newsletter that very clearly keeps people informed on progress and next steps. Keep them fully involved with Q&A sessions and proactively sought feedback. Keep the business going! Sounds obvious but getting distracted by integration ups and downs can severely damage your business. You must keep close control on maintaining good practice in all integrating businesses. Complexity Reduction. 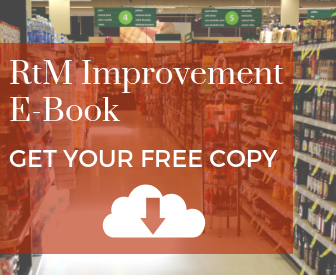 If the businesses have similar SKU ranges then take the opportunity to understand where there are clear overlaps and where an SKU cull can free up human and cash resources. Constantly review. Integration is a real moving feast! Assumptions will change and plans may have to be modified and these should be embraced rather than receive critical attention. Do not be afraid to revisit the objectives and plans frequently and modify as prudent. Celebrate. When significant milestones are achieved be sure to get the cakes and champers out. Reassure people that the journey is progressing well and particularity those not directly involved in the process as they will feel the most pressure on job security. When you consider the amount of time and money that went into securing the M&A deal a generous budget for integration will pay back extremely quickly. A degree of early planning and preparation on the actual integration will see you reach the press release objectives – if anyone ever checks! If you do not specifically agree on what is expected between two parties before you start a relationship then anything and everything but success is likely. You buy a new car and you get a contract that tells you what is covered by the guarantee and for how long in time or in distance travelled. From your side you will be expected to pay the same people to periodically maintain the equipment at peak condition. While it may not be as popular as it used to be, marriage is still perhaps the most widely used Service Level Agreement (SLA) in the world. The names of the two parties are made very clear to a number of witnesses and depending on your brand of religion there follows a list of statements you have to agree to or the marriage ceremony does not continue. You even get a certificate which is in effect a contract or your SLA. Of course, this does not go down the detail of who does the washing up or who gets up at 3am to feed the baby but it does set out clear expectations. Should the husband run off with the woman for the chip shop then a divorce is highly likely. Think of the arguments about who gets to keep Eric the hamster if there is a parting of ways. Alternatively, you could use one of those “pre-nuptial” agreements favoured by plastic Hollywood-types who think a long relationship is several months in their world so far away from reality. In all cases, it reflects “you scratch my back and I scratch yours” or sometimes “you stab me in the back and I take you to court”. Despite SLAs being a vital part of daily lives why do FMCG. Brewing, Pharmaceutical companies fail to have the same in place for their suppliers, IKA/TT customers and internal departments within the S&OP framework? Such an approach holds people accountable for the service they provide and at the same time making the penalties clear in the event of failure. SLAs do not have to be a lengthy tome of text but should contain enough information for both parties to be 100% clear about what is expected from the relationship. Include some relevant and why not stretching KPIs and you have the basis of a relationship that may flourish rather than end up in the divorce courts. No relationship in business or in private life is perfect but why not start out by writing down what level of service you expect to provide to each other? FMCG S&OP: Who is the stooge in your process? Laurel and Hardy, Morecambe and Wise, Abbott and Costello, Little and Large, Hale and Pace, May and Johnson. These are examples of double acts where one party plays the straight/stooge and apparently serious man while the other plays the fool/jester. I admit I am not too sure who is who in the last example. Having suffered 2 weeks of UK television recently it was difficult not to see the latest popular double act of Ant and Dec popping up at frequent intervals (mostly Dec in the medium term though!). My jury is out on these two as they appear to be part of a UK TV talent vacuum glibly presided over by a man who looks like a dark-haired Max Headroom – youngsters, Google it. I always thought Simon Cowell was that nice bloke who rescues badgers from drains in Surrey but there are 2 of them! Anyway, the point is that these performers work through their contrast in styles and the way each party plays off the other to score points and generate laughs. For some reason the first name in the act title is usually the funny or less serious partner who generates the gags and generally puts down the straight partner. This notation is also consistent with Sales & Operational Planning with OP being the collective remainder of your FMCG, Brewing or Pharma business. Why do so few Sales people – at any level of seniority – get S&OP? In fact do any Sales people really get S&OP and recognise the process as one for common good in a company? If only there was a way of replacing sales bonuses with cross-discipline, volume/value bonuses. While the straight man of the team endeavours to supply on time in full against the forecast the joker waits until the last few days of the month to sell anything including his granny to make the required number and secure a bonus. And thus, the monthly cycle repeats again, and again, and again. If you pump too much unwanted inventory (done pretend its sales) into the market sooner or later you will need to destock your distributors and/or International Key Accounts (IKA). Distributors have always been ripe for a bit of extra loading here and there to manipulate the sales figures but do not fool yourself this does not happen with IKA. It does and with the modern power of IKA accounts you might find yourself with a very unwelcome stock return and a difficult to refuse request for compensation and refund. Frequently, when things go wrong in the market place the Sales people will chirp up with something like “that’s another nice mess you’ve gotten me into” as a prelude to their Teflon blame-storming. 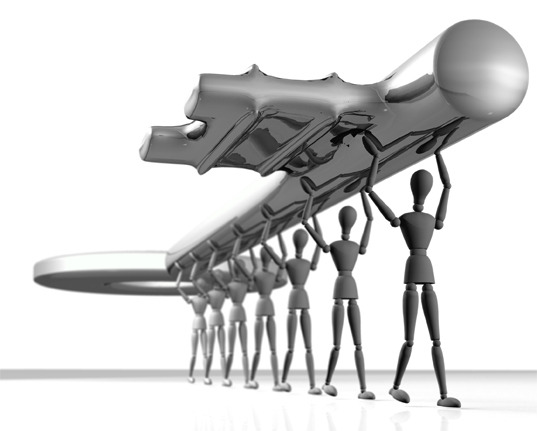 S&OP requires a team effort to succeed as a process which will lead to better performance in the market place. No planning or forecasting process is ever perfect but a little more diligence and team playing from the funny man would bring immediate and lasting results. How I guffaw when I hear producers complain about traditional trade distributor overstock.Make no mistake Mr. Producer, YOU put the stock there, oh yes you did! Distributors don't buy stock for something to do or a laugh and a giggle. Excess stock blocks up their warehouses and locks up their cash. Why does this happen in even the largest companies? 1. Month, quarter and year-end push. "Targets have to be met so push as much stock as possible into the Distributors." This is simply loading and is not real sales. 2. Failed launches. Unrealistic Producer sales objectives leading to slow moving goods which sit in warehouses. 3. Old label stock. Perfectly good stock but the pack with the new artwork is being sold already and nobody wants this "old stuff". 4. Old and expired promotions. Funding support has ended so what do we do with all these left over promo packs? Don't expect sales and marketing colleagues to help. 5. Returns from customers. Still arguing about who is to pay for these returns? You should have had clear SLAs and contract in place. 6. Producer forecasting errors. Nobody wants to lose face at Producer HQ so the stock sits and gathers dust until it expires or is stolen. 7. Damaged and expired. Damages happen, get them written off AND destroyed and get over it. You can avoid expired goods - see above! You might think your Distributors have a healthy 21 days of cover but in reality they are operating with a much lower level of saleable stock, ie what consumers actually want to buy.The rest sits in their books and in your stock cover numbers but it contributes nothing to sales. In fact, it negatively affects sales as stock that is in demand is available at too low levels or not at all to meet customer requirements. "Those distributors have so much stock but my Customer Service level is rubbish". IT IS NOT A SUPPLY CHAIN PROBLEM! I know you are busy. Not enough hours in the day. Deadlines rapidly approaching. Your children call you Uncle Dad or Auntie Mum. Before the stress takes its inevitable toll think about relieving the pressure without adding to head count. Why s Interim Management an opportunity at present? Mainly as a result of the continuing economic conditions numerous companies have folded this year and a similar number have been taken over or merged with others. 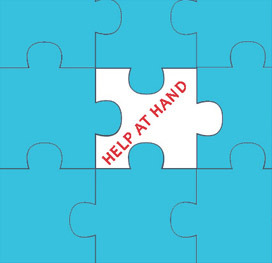 Obviously companies that fold are too late to be helped although I am not sure too many actually sought the right professional help and guidance in good time. Those companies and Private Equity players merging or buying in this period need to have their new businesses in good shape to ensure the ROI in the contract deal has even a chance of coming to fruition. When the green shoots of recovery actually start looking like shrubs, shareholders and PE owners will rightly expect their pound of flesh. 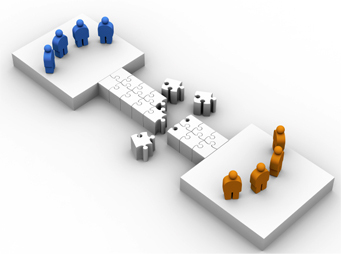 One route to accelerating and establishing integration and realignment is to use the services of an Interim Manager. 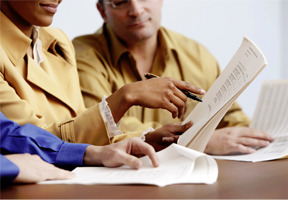 Hear are 7 reasons why hiring an Interim Manager (IM) can be of benefit. Speed. 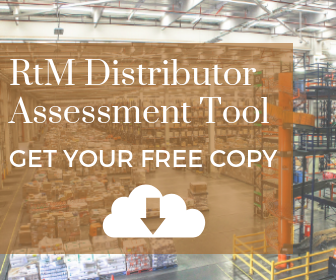 Senior Interim Managers are readily available for Supply Chain tasks. You do not have to waste time going through a lengthy search and selection process with a fee-taking headhunter. Expertise. 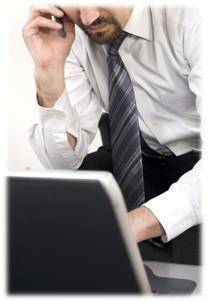 Interim Managers are usually seasoned professionals with deep operational experience. A vast majority will have successfully held senior roles in blue-chip organisations for long periods. No training is required; you get a “vertical start-up”. Objectivity. Interim Managers are able to look at a given situation with a fresh set of eyes and will not be afraid of “treading on toes” or telling the boss there is a better way! Accountability. Interim Managers are not there to advise. They are in place to handle a specific project or a department in transition. Unlike full time employees they are very comfortable at being rewarded (or not) based on black and white objective achievement. Effectiveness. Possibly the most obvious contribution of IM. Once the Board has given a mandate to carry out a task, the IM will get on and do it without struggling through a bout of inertia. “Just Do It” sums this up nicely. Commitment. Interim Managers remuneration means they have a direct financial stake in the assignment. They are not there to make friends or pave the way for recruitment. They wish to do the job well, get paid and move onto the next challenge. If you have a difficult job to be done within a defined timetable and you do not currently have the resources in-house you should consider the value an Interim Manager can bring both to yourself and your organisation. Gaze into the future and see what tough jobs need to be done well now to ensure you are ahead of the game. Immediate access to expert supply chain skills and experience in your sector. No hidden extras. You pay the daily fee rate and expenses; no more, no less. Training for your staff to ensure supply chain knowledge and skills imparted and retained. Experienced supply chain interim managers available now at all levels of seniority. Remove internal hurdles and barriers to change. International experience gained from working in many countries, companies and in relevant sectors. 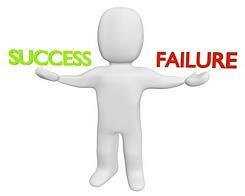 Motivated to achieve results to tight time and cost objectives. Maintain the resource while you need it without any financial burden at contract end. Avoid permanent employee costs which are significant. No inconvenient holidays, training courses or conferences. Ability to challenge your supply chain status quo and make sustainable change in the business. Generate savings and efficiency improvements in a short timescale. Expectations should high be as you are buying international expertise. Make your business prepared for the competition in difficult economies. No political axe to grind and no bias; straightforward advice and actions. Take a look at the Enchange approach to Interim Management, eave your details via the contact form and we will call you back. 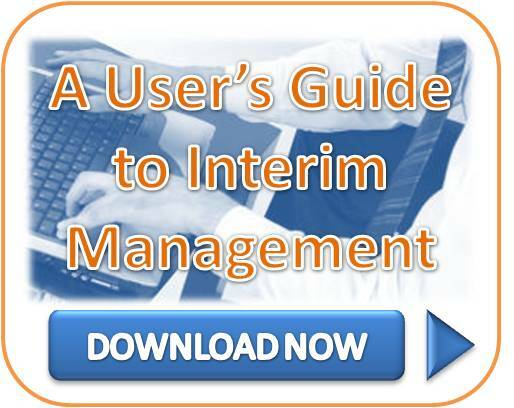 If you are not sure you need Interim Management then you probably do! Some of the trucks we see on the roads today are extremely high tech, modern and comfortable with hi-tech monitoring such as fuel consumption and tyre wear. They incorporate the latest motoring technology as well as a degree of driver cab luxury of which 1970’s Yorkie Man could only dream. Load security and integrity can be monitored by a whole host of sensors keeping close watch on temperature, humidity, security seals and how often the doors have been opened and where and when. You also see some crazy looking trucks where the tops have been streamlined to cut down wind resistance and to contribute to a greener Supply Chain. Everything sounds hunky dory then as these modern juggernauts criss-cross the motorway network delivering chemicals, car spares or finished goods for FMCG and other sectors. 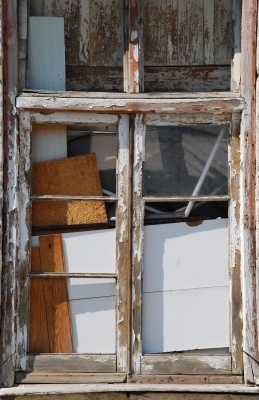 If you look towards the east of Europe you will find that Yorkie Man and his crumbling kit are alive and well. Yes, there are large fleets of top class modern equipment in CEE serving the internal country needs and of import and export to the EU. However, there remain a large number of smaller operators and owner-drivers who have not invested and upgraded to suit the needs of the modern transport trade. Again, there are some good examples but far too many are still using gas guzzling, fume spewing, unsafe vehicles that may be transporting your valuable goods. Remember, when a truck delivers your product they form part of your face to the customer. Too many vehicles (well, one is too many isn’t it?) are operating on less than perfect road infrastructures with bald tyres, broken lights, poor load security and on borrowed time. Couple these failings with indifferent or a simple lack of driving skills and you have a recipe for a trucking disaster. In particular, producer companies in those countries waiting to join the EU should take a look at how they move goods around now and start thinking about forcing an upgrade before the Yorkie gets even smaller. The car bounced over the dirt road of potholes and puddles and approached the expansive, looming warehouse building that was once so full of life and bustling activity. Paper and polystyrene fast–food litter gathered up by the breeze blew across the distribution centre parking area to be fought over by bony, mongrel dogs. A short time ago the yard would not be a place for an idle visitor as liveried juggernaut giants and ant-like fork lift trucks toiled away around the clock. Noise, dust, fumes, shouting, revving, the hiss of pneumatic brakes; no more. The entrance to the office building was beyond the waiting room with its familiar mismatched furniture, faint smell of illicit smoke and the accompanying stale odour of tired drivers and their diesel machines. The constant tip-tap of fingers on keyboards generating loading and transport documents supporting someone’s Route To Market had long gone. No more chattering from the tractor printer feeding on green/white paper from a seemingly endless box below. No camaraderie, no arrangements for the weekend, no flirting, no telephones ringing; the only sound was the noticeably slowing tick-tock of the beer-branded plastic clock which in turn would slowly but surely grind to a halt at one precise second in time. The beige IKEA infrastructure unchanged from the last day of productive work. The previously secure and “authorised personnel only” door into the storage area was propped open by a tightly rolled newspaper with the dusty headline recording the passage of a few years of hope-filled EU membership. Spitting cats scattered rapidly fearing the entrance of their fast-food chasing canine enemies. Dirty yellow fork-lift trucks sat huddled in one corner like juvenile play-ground gossips, connected to chargers that no longer dispensed energy. The once firm, shiny black seats repaired and renovated with stretch-film, tape and cardboard. Names scratched into the truck paint revealing the identities of the long gone jockeys. No beeping, no screech of rubber and no ecstatic laughing when a pallet falls and spills its liquid SKU load. Once you could not see from one end of the building to the other as hundreds and thousands of cases, drums, IBCs and big bags filled the mega-Meccano skeleton. Now only the blue painted skeleton with orange boots remains taught and proud with the bumps and bruises of battle visible on the lower levels and a scattering of splintered wooden pallets, also blue. The loading bays all had their shuttered mouths firmly closed to the outside world. Would they be ever be prised open again to receive and dispatch FMCG goods like foods, detergents, drinks and wine? For now the loading bays only received the attention of endlessly sweeping flocks of pigeons and what they generously leave behind. The rusty padlock and chain were replaced with a dull clunk and the warehouse was empty again and for how long this time? The dogs chased the litter; the cats produced a litter and the pigeons left their telling statement on a once thriving warehouse in Romania. Sorry to be a little direct right at the start but make no mistake Mr/Mrs. FMCG Producer, YOU put the stock there, oh yes you did! Distributors don't buy stock for a laugh and a giggle as they like full shelves. Excess stock blocks up their shelves and warehouses and, most critically locks up their cash. Yes, the cash you are desperately trying to collect and book in the accounts to meet your month-end commitments. Month, quarter and year-end push. "Targets have to be met so push as much stock as possible into the Distributors. Even if they have no chance or intention to sell it." Failed launches. Unrealistic Producer sales objectives leading to slow moving and eventually expiring goods. 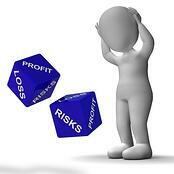 Slow movers and expired all form part of Producer stock value and Distributor sunk cash until you do something! Old label/pre-relaunch stock. Perfectly good stock but the pack with the new artwork is being sold already and nobody wants this variant. Some careful planning in advance could see older stock liquidated in a sink market or moved out through discounting. Old and expired promotions. Funding support has ended and the guys with the best cars have moved onto the next “big thing” so what do we do with all these left over promotional packs? Disassemble, discount or destroy but don’t keep lying around! Returns from customers. Still arguing about who is to pay for these returns? Was a return policy agreed in the first place?. Producer forecasting errors. Nobody wants to lose face at Producer HQ so the excess stock sits and gathers dust until the annual stock count and later expiry. Damaged and expired. Is it clear who pays for any damages and expired goods? Make a decision and either re-sell or get this stuff off the books. Inevitably, damages will happen but get them written off quickly AND destroyed and get over it. You can avoid expired goods – see all of the above! 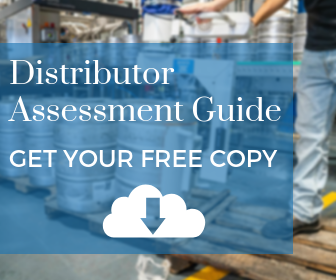 You might think your Distributors have a healthy 21 days of cover but in reality they are operating with a much lower level of saleable stock. The rest sits in their books and in your stock cover numbers but it contributes nothing, zero to sales. In fact, it negatively affects sales as stock that is in demand and selling out is available at too low levels to meet customer requirements. "They have so much stock but my Customer Service level is rubbish". THIS IS NOT A SUPPLY CHAIN PROBLEM ALONE!